Through October 18 – Piedmont Interstate Fair on Fairgrounds Road in Spartanburg. Enjoy fun rides, beautiful exhibits, fun contests, a talent show, delicious food, lots of animals, and live entertainment. For more information call (864) 582-7042 or visit http://piedmontinterstatefair.com/2014fair.html. Through October 17 – Union County Agricultural Fair at the fairgrounds in Union. Enjoy rides, fair food, competitions, live entertainment, and more. For more information call (864) 427-6259 ext. 112 or visit https://www.facebook.com/unioncountyagriculturalfair. October 15 – Oktoberfest at 200 Oregon Avenue in Greenwood. Enjoy great German food and beverages, while listening to live entertainment by The Producers. For more information call (864) 942-8448 or visit http://www.uptowngreenwood.com/events/oktoberfest. October 15 – 18 – Harvest of Horrors at the Denver Down Farm on Denver Road in Anderson. Event includes a haunted hay ride, a haunted house, a tormented trail, and even a “Haunted Bates Motel”. For more information visit https://www.facebook.com/Harvestofhorror/. October 16 – Oktoberfest in Walhalla on Main Street in Walhalla. Enjoy crafts, German food, rides, and fireworks. For more information call (864) 638-2727 or visit http://www.walhallaoktoberfest.com/. October 16 – 17 – Hogs and Hens BBQ Cook-Off on Trinity Street in Abbeville. Enjoy great food, live entertainment, a wine walk, and more. For more information call (864) 366-5007 or visit http://www.abbevillecitysc.com/hogs-hens-barbeque-cook-off-2015. October 16 – 18 – Antiques, Fine Art & Design Weekend at the Greenville County Museum of Art. Twenty-seven dealers from across the country display some of the finest antiques, fine art, and design in the southeast. For more information call (864) 271-7570 or visit http://gcma.org/antiques. October 16 – 18 – “Cinderella” by Ballet Spartanburg at the Chapman Cultural Center in Spartanburg. Enjoy an evening watching the Ballet Spartanburg’s rendition of this famous fairytale. For more information call (864) 542-2787 or visit http://www.chapmanculturalcenter.org/events.php?id=1675#sthash.Sb3L4yDv.dpbs. October 16 – 18 – Oktoberfest at Main Street and Sertoma Field in Walhalla. Enjoy a weekend of German food, dancing, music, crafts, and even a fireworks display on Saturday evening. For more information call (864) 638-2727 or visit http://www.walhallaoktoberfest.com/. October 16 – 18, 23 – 25 – Boo in the Zoo at the Greenville Zoo. There will be trick-or-treating, fun filled booths, a princess castle and characters, a deceased animals grave yard, and a haunted house. For more information call (864) 467-4300 or visit http://www.greenvillezoo.com/168/Special-Events. October 17 – Fall Vintage Market in Greer City Park in Greer. There will be over 50 vendors providing a variety of wares to include handmade, vintage and upcycled items. For more information call (864) 621-2020 or visit http://www.vintagemarketgreer.com/. October 17 – S.C. Upstate Pagan Pride Day at the Greenville Unitarian Universalist Fellowship in Greenville. Learn about the history of Samhain and the traditions that revolve around it. For more information call (864) 356-0139 or visit http://scupstatepaganprideday.yolasite.com/. October 17 – Storytelling Festival at the Hagood Mill Historic Site & Folklife Center in Pickens. Enjoy a day of hearing stories old folktales and music or take the time to watch the mill in action. For more information call (864) 898-2936 or visit http://www.visitpickenscounty.com/event/1080/thirteenth-annual-hagood-mill-storytelling-festival/. October 17 – Carrot Tops on Keowee at Hidden Cove on Lake Keowee. Enjoy live entertainment, food and drink, a carrot cake competition all while enjoying the beautiful fall weather. For more information visit https://www.facebook.com/events/591001441040686/. October 17 – 18 – Old Time Mountain Fair Days at Aunt Sue’s Country Corner on Country Creek Drive in Pickens County. Enjoy Bluegrass music, a turkey shoot, a Mountain Man competition, activities for the kids, and more. For more information call (864) 878-4366 or visit https://www.facebook.com/events/1158207244196443/. October 18 – 22 – Starburst Storytelling Festival at the Anderson Public Library and other locations around Anderson. For more information call (864) 260-4500 ext. 107 or visit http://www.andersonlibrary.org/events/special-events/. October 22 – 25 – Enchanted Forest at the Pavilion Recreational Complex in Taylors. This favorite fall festival is for children 10 and under to enjoy a fairy tale trick or treat and storybook adventure featuring many of kids favorite characters. There will also be a carnival, bouncy house, face painting, and more. For more information call (864) 288-6470 or visit http://greenvillerec.com/event/enchantedforest. October 23 – 24 – SpartOberfest at the Jesus, Our Risen Savior Catholic Church in Spartanburg. Enjoy Spartanburg’s Oktoberfest filled with lots of fun for the entire family and includes the Kris Kringle Christmas Market for you to start your holiday shopping. For more information call (864) 576-1164 or visit http://www.spartoberfest.com/. October 23 – 24 – Sugarfoot Festival in downtown Honea Path. Event will include fun, food, crafts, and entertainment for the whole family. For more information call (864) 369-1605 or visit http://www.honeapath.com/events/sugarfoot/. 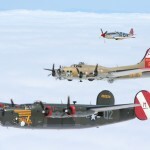 October 23 – 25 – Wings of Freedom Tour WWII Aircraft Display at Runway Park at the Greenville Downtown Airport. 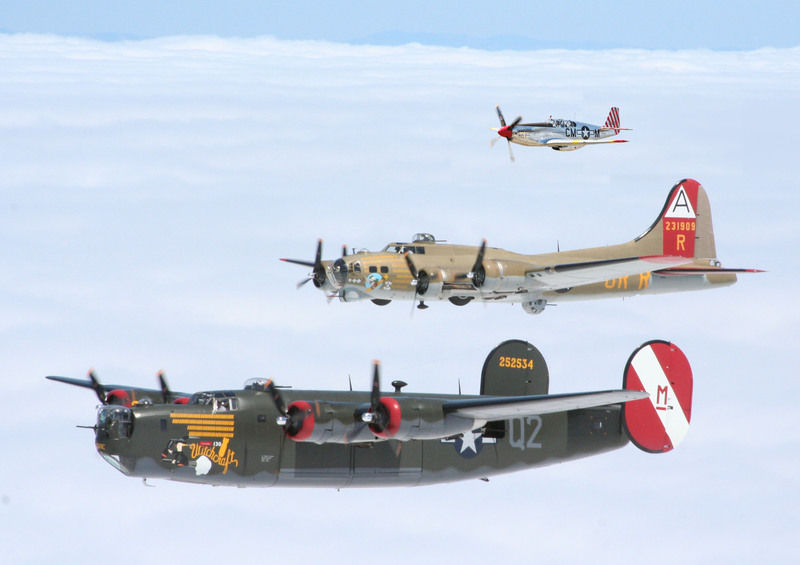 Tour through the authentically restored aircraft or take a flight aboard to experience a piece of history. For more information call (864) 270-6660 or visit http://www.greenvilledowntownairport.com/WhatsNew.html. October 24 – Art on the Trail at Trailblazer Park in Travelers Rest. Enjoy a variety of fine arts, crafts, live music and performers, food trucks, Art of food demonstrations, and children’s activities. For more information call (864) 387-7840 or visit http://www.artonthetrail.com/. October 24 – Clusters for Kids Oyster Roast at Arran Farm in Easley. Enjoy an evening of oysters and a buffet, entertainment, a live auction, corn hold competitions, and more. For more information call (864) 506-0737 or visit http://www.friendspcgal.org/. October 24 – Fall Bazaar at the Disciples United Methodist Church in Greenville. Event will include lots of arts and crafts, baked goods, and even a pumpkin patch. For more information call (864) 297-0382 or visit http://mydisciples.org/document/2015FallBazaarFlyer001.pdf. October 24 – Fall Harvest Festival on the Village Green in Pendleton. Event will include old fashioned children’s games, a scarecrow contest, quality crafts, and great music. For more information call (864) 646-9409 or visit http://townofpendleton.org/seventeenth-annual-fall-harvest-festival-october-24-2015/. October 31 – Children’s Fall Festival at the Old Market Square in Easley. For more information call (864) 423-4344 or visit http://eventful.com/easley/events/city-easley-gilstrap-family-dealerships-childrens-f-/E0-001-084062580-0. First Fridays through October – First Fridays in Fort Mill at the Walter Elisha Park in Fort Mill. Come out for good music and good food. For more information call (803) 547-5900 or visit http://firstfridayfortmill.com/. Through October 18 – Rock Hill Rocks Open Tournament at the Rock Hill Tennis Center in Rock Hill. This Pro Circuit Event will match women from around the world. For more information call (803) 326-3842 or visit http://cityofrockhill.com/departments/parks-recreation-tourism/parks-facilities/rock-hill-tennis-center/rock-hill-rocks-open-tournament. Through October 17 – Eastern Carolina Agricultural Fair at the Fairgrounds in Florence. Enjoy amusement rides, a magic show, Lady Houdini, a Banana Derby, pig races, lots of good food, vendors, and more. For more information visit http://www.ecafair.com/eca/index.asp. October 15 – 18 and 22 – 25 – “Agnes of God” at the Sumter Little Theatre in Sumter. Find out if the nun murdered her newborn and if not, who did in the theatrical mystery. For more information call (803) 775-2150 or visit http://www.sumterlittletheatre.com/2015-16-season.html. October 15 – Oktoberfest on Oregon Avenue in Greenwood. Enjoy German food and refreshments while listening to The Producers. For more information visit http://www.uptowngreenwood.com/events/oktoberfest. October 16 – Serving Up Soup for the Arts at Barnwell Presbyterian Church Fellowship Hall in Barnwell. Purchase a soup lunch to support arts in the Barnwell County area. For more information call (803) 300-7915 or visit http://www.barnwellarts.com/serving_up_soup_for_the_arts. October 16 – Yemasee Foodways: The Intersection of Food and Culture in an Entangled Colonial Setting at the USC – Lancaster Native American Studies Center in Lancaster. At his Lunch and Learn, learn how the Spanish explorers and the European colonists brought the Native Americans face-to-face with new technologies and cultural practices. For more information call (803) 313-7063 or visit http://usclancaster.sc.edu/NAS/lunchlearn/2015Oct.pdf. October 17 – TriSumter Triathlon at the City of Sumter Aquatics Center. This is a USAT sanctioned event. For more information call (803) 774-3998 or visit http://www.sumtersc.gov/aquatics-trisumter-triathlon.aspx. October 17 – Clover Fall Festival at Longshots Farm on Warren Road in Clover. Event will include helicopter rides, hay rides, a costume contest, antique cars and tractors, a craft fair, lots of food and much more! For more information call (866) 531-4222 or visit http://www.countryharmonyevents.com/special-events-2/. October 17 – Spirits and Stories: Brattonsville by Twilight at Historic Brattonsville in McConnells. There will be harvest demonstrations, hands on activities, wagon rides, and then led by candlelight on a tour of the historic site by costumed interpreters to learn if ghosts still haunt the site, and finish the evening with music and a campfire. For more information call (803) 684-2327 or visit http://chmuseums.org/event/1767/. October 17 – An Evening in the 1800’s with Kim Poovey at the Aiken County Historical Museum. Come see this famous author, story teller and historian from Beaufort portray several historical women in period attire as well as provide educational information about the period in general for more information call (803) 641-0650 or visit http://www.diannshaddoxfoundation.org/an-evening-in-the-1800s.html. October 17 – Knights of Columbus Fall Car Show at St. Mary’s Catholic Church in Aiken. Their will be 40 trophies offered for the best and most beautiful cars. For more information call (803) 663-1777 or visit http://carolinathunderracing.com/Car_Show.php. October 17 – Oktoberfest at Old Town in Rock Hill. Enjoy this Bavarian style street festival filled with lots of food, entertainment, and fun, including a Weiner dog race, to help you learn more about the German culture. For more information call (803) 329-8756 or visit http://onlyinoldtown.com/do/featured/33/oktoberfest-in-old-town. October 17 – 18 – Colonial Times: A Day to Remember at the Living History Park in North Augusta. Even includes reenactments, living exhibits, and demonstrations. For more information call (803) or visit http://www.colonialtimes.us/coltimes.html. October 17 – 18 – Harvest Apple Festival at Windy Hill Orchard and Apple Mill in York. There will be live entertainment, hay rides, blacksmith demonstrations, bouncy houses for the kids, BBQ and of course, lots of apple products, to include hard cider. 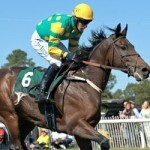 For more information call (803) 684-0690 or visit http://windyhillorchard.com/events/. October 22 – 31 – Western Carolina State Fair at the Aiken County Fairgrounds in Aiken. Enjoy rides, fair food, a sea lion show, bull riding, chainsaw art, a magic show, and so much more. 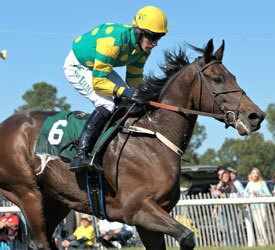 For more information call (803) 648-8955 or visit http://westerncarolinastatefair.com/. October 23 – Spirits of Hallowed Eve Dinner at the Living History Park in North Augusta. Enjoy an evening of spirits, stories, song, and of course, an interesting array of ghostly foods. For more information call (803) 279-7560 or visit http://www.colonialtimes.us/hallowedeve.html. October 23 – Haunted Legends of Camden Tour at the Louise C. Proctor Hall in Camden. Visit the ghosts of the city on this driving tour through the historical areas of this old city. For more information call (803) 425-1081 or visit http://www.cityofcamden.org/events/haunted-legends-camden-tour. October 23 – 24 – Francis Marion/Swamp Fox Symposium at the F.E. DuBose Campus of Central Carolina Technical College in Manning. Immerse yourself in the world of Francis Marion. For more information call (803) 478-2645 or visit http://www.francismarionsymposium.com/. October 24 – All hallowed Eve Ghost Walk & Illusion Show at the Living History Park in North Augusta. Take a walk into the past and meet the ghosts of yesteryear followed by an enjoyable ghostly magic show. 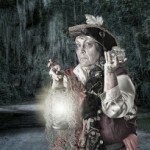 For more information call (803) 441-8956 or visit http://www.colonialtimes.us/hallowedeve.html. October 24 – Historic Walk to Defeat Senior Hunger in historic downtown Lancaster. Tour a variety of important landmarks in the town with the proceeds to help feed 100 seniors on the waiting list for meal assistance. For more information call (803) 285-6956 or visit http://business.lancasterchambersc.org/events/details/history-walk-to-defeat-senior-hunger-10-24-2015-3739. October 24 – Bark in the Park at Centennial Park in the Edisto Memorial Gardens. There will be a Halloween Costume Contest, food vendors, and fun for the kids. For more information call (803) 545-6153 or visit http://orangeburgyoungprofessionals.net/calendar. October 24 – Sumter Sunrise Rotary 5K in downtown Sumter. Proceeds from the event will go to support a variety of local community projects and needs. For more information call (803) 436-2500 or visit http://www.sumtersc.gov/sumter-sunrise-rotary-5k-runwalk.aspx. October 24 – Zombie Crawl 5K & Fun Run at Old Town in Rock Hill. Enjoy an afternoon of fun and fitness, but beware of the zombies! For more information call (803) 524-5671 or visit http://racesonline.com/events/old-town-zombie-crawl-5k-fun-run. October 24 – 25 – Civil War Reenactment in Historic Brattonsville in McConnells. Enjoy a weekend of reenactments, cannon firing demonstrations, historic archery demonstrations, camp life activities, and more. For more information call (803) 684-2327 or visit http://chmuseums.org/event/1768/. October 25 – Taste of Orangeburg on the Russell Street Square in downtown Orangeburg. Sample a variety of foods from the best restaurants in the area. For more information call (803) 531-6186 or visit http://thetandd.com/news/taste-of-orangeburg-today/article_d7fb5e96-5745-11e4-aeac-2768eac105fb.html. October 25 – Ukulele Jam at Andrew Jackson State Park in Lancaster. Event will include ukulele and dulcimer performers to enjoy listening to, or bring your own along and join in the party. For more information call (803) 761-4859 or visit http://party.charlestonhotshots.com/. October 27 – Moonlight Kayak Trip at Big Allison Creek Landing on Lake Wylie in York. Enjoy a moonlight paddle on this beautiful lake. For more information call (803) 329-5527 or visit http://www.visitrockhillsc.com/events/big-allison-creek-landing-on-lake-wylie-moonlight-kayak-trip/. Through October 25 – Fall Tours of Homes and Gardens in the historic district of Charleston. Enjoy first-hand the rich culture of Charleston through up close and personal visits to some of the area’s most beautiful homes and gardens. For more information call (800) 514-3849 or visit http://www.thefalltours.org/. Through October 18 – Arts & Seafood Festival in the historic district in Bluffton. The event will showcase local harvested seafood, Low Country cuisine, as well as display culture of the area, live music, entertainment, and art. For more information call (843) 757-2583 or visit www.blufftonartsandseafoodfestival.com. Through October 17 – Pawleys Island Festival of Music and Art at multiple locations in the Pawleys Island area. Event will include street painting, live music, a wine and food gala, and much more. For more information call (843) 626-8911 or visit http://pawleysmusic.com/. Through October 17 – Pawley’s Island Festival of Music and Art at a variety of locations on Pawley’s Island. Experience a variety of visual and performing arts, to include a gala, at this enjoyable annual event. For more information call (843) 626-6452 or visit http://pawleysmusic.com/. October 14 – The Zin Experience at the Omni Hilton Head Oceanfront Resort on Hilton Head Island. Event includes wines from local restaurants and distributors accompanied by hors d’oeuvres. For more information call (843) 301-9977 or visit http://www.iachh.org/. October 15 – Tie One On at the Family Circle Stadium. There will be food/beverage trucks and live music in preparation of the Komen Lowcountry Race for the Cure. For more information visit http://lowcountry.info-komen.org/site/PageServer?pagename=CHS_TR_tieoneon. October 16 – 17 – Ghost Carriage Tours meeting in the parking lot of 1006 Bay Street in Beaufort. During your carriage ride, you will travel through the moss lined streets of the historic district while hearing the haunting tales of ghosts that have been seen in the area. For more information call (843) 52ghost or visit http://capabeaufort.org/. October 16 – 18 – Mini Marathon at the Marina Inn at Grande Dunes, and other locations in Myrtle Beach. Enjoy this amazing half marathon course that consists of 5 miles of beach running. For more information call (800) 733-7089 or visit http://www.runmyrtlebeach.com/. October 16 – 18 – South Carolina Jazz Festival at a variety of locations in Cheraw. Over 20 regional music artists will perform in an eclectic collection of venues, along with a Bebop parade, kids art activities, a golf tournament, and more. For more information call (843) 537-8420 ext. 12 or visit http://www.scjazzfestival.com/. October 17 – Fall Festival on Jungle Road on Edisto Island. Enjoy lots of good food, arts and crafts and kids activities. For more information call (888) 333-2781 or visit http://www.edistobeach.com/edisto-fall-festival/. October 17 – Annual Loris Bog-Off Festival in downtown Loris. Event includes lots of arts and crafts, kids activities, a car show, live entertainment, of course chicken bog, and an ending fireworks show. For more information call (843) 756-6030 or visit https://www.facebook.com/pages/Loris-Bog-Off-Festival/153332898010072?sk=wall. October 17 – Harvest Festival and Block Party in the Olde Village area on East Montague Avenue in North Charleston. Enjoy ghost stories, kids activities, an artist’s market, a costume contest, trick-or-treating and live entertainment. For more information call (843) 740-5854 or visit http://www.northcharleston.org/Residents/Special-Events/Harvest-Festival.aspx. October 17 – An Evening of the Arts at the Sea Pines Country Club on Hilton Head Island. Enjoy exquisite art, fine dining, and entertainment. For more information call (843) 686-3945 ext. 212 or visit http://isca-online.org/an-evening-of-the-arts. October 17 – Artisan and Crafters Show at the Omar Shriners Convention Center in Mount Pleasant. There will be a large variety of artisans and crafts, as well as live entertainment, activities for the kids, and even a silent auction. For more information visit http://islandcraftersguild.com/CraftersGuildFlyerforOmar3.jpg. October 17 – Dogtoberfest: Dogs, Dine, and Wine at the Freshfields Village near Kiawah Island. Bring your dog, in costume, for a contest, taste a variety of wines, enjoy food from a variety of food truck vendors, all while enjoying live entertainment. For more information visit https://www.facebook.com/events/915862021817544/. October 17 – 18 – Camping EX-PIER-ience at Myrtle Beach State Park in Myrtle Beach. Enjoy an evening sleeping on the pier under the stars looking for the constellations, searching for park treasures in the dark, enjoying the night sounds of the park, roasting hot dogs and make s’mores. For more information call (843) 238-0874 or visit http://www.southcarolinaparks.com/products/10004205. October 17 – 18 – Palmetto Campout at Huntington Beach State Park in Murrells Inlet. Enjoy a weekend learning about tent camping and outdoor cooking, as well as how to throw a cast net, pull a seine net, rig a crabbing line and paddle a kayak at this beautiful State park. For more information call (843) 235-8755 or visit http://www.southcarolinaparks.com/products/10003865. October 17 – 18 – Annual Wooden Boat Show in Historic downtown Georgetown. There will be wooden boat exhibits, wooden boatbuilding competitions, children’s model boatbuilding, maritime art, food and music. For more information call (843) 520-0111 or visit www.woodenboatshow.com. October 18 – Bark in the Park Oktoberfest at the Wannamaker County Park in North Charleston. There will be pet exhibits, demonstrations, experts, entertainment, and more. For more information call (843) 795-4386 or visit https://www.ccprc.com/1791/Bark-in-the-Park. October 18 – HALOS Oyster Roast at Harborside East in Mount Pleasant. Enjoy lots of oysters, beer, wine, and fun all to benefit children of the Low Country. For more information call (843) 953-9539 or visit http://www.charlestonhalos.org/events_detail/index.php?id=40. October 18 – Children’s Day Festival at Park West Recreational Complex in Mount Pleasant. There will be carnival rides, enormous inflatable slides, wall climbing, face painting, live entertainment, and much more. For more information call (843) 884-8517 or visit http://www.comeonovermp.com/index.aspx?NID=113. October 19 – Tee Off for the Arts at the Wexford Golf Club on Hilton Head Island. Enjoy a silent auction, a fun awards ceremony and lots of good camaraderie. For more information call (843) 686-3945 ext. 304 or visit http://www.artshhi.com/events/tee-off-fore-the-arts. October 23 – Cane Pole Fishing at Hobcaw Barony in Georgetown. Learn the art of cane pole fishing on the ponds around the property, with cane poles and bait provided. For more information call (843) 546-4623 or visit http://hobcawbarony.adcointeractive.com/visit/seasonal-programs/. October 23 – 24 – Halloween in the Swamp at Cypress Gardens in Moncks Corner. Although the Gardens will have activities for the kids to include a pumpkin trail, a bouncy house, and campfire and marshmallow roast, for those of you wishing a more scary experience, take a haunted boat ride in the dark through the swamp and disembark on the to the haunted trail . . . if you dare. (Not for the faint at heart!) For more information call (843) 553-0515 or visit http://www.cypressgardens.info/events/. October 23 – 25 – Fall Festival of Historic Houses & Gardens at multiple locations around Beaufort. Enjoy a tour of some of the most fabulous historic homes built over the last 200 years, and visit the White Hall Plantation on the Combahee River and tour the grounds and fabulous gardens. For more information call (843) 379-3331 or visit http://www.historicbeaufort.org/fall-festival/. October 23 – 25, 28 – 30 – Ghost Carriage Tours meeting in the parking lot of 1006 Bay Street in Beaufort. During your carriage ride, you will travel through the moss lined streets of the historic district while hearing the haunting tales of ghosts that have been seen in the area. For more information call (843) 52ghost or visit http://capabeaufort.org/. 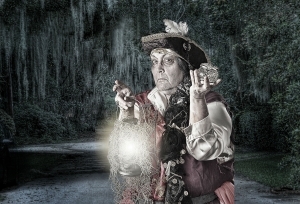 October 23 – 25, 28 – 30 – Ghost Walking Tours leaving from Cannon Park in Beaufort. Walk through the moss lined streets of the historic district while hearing the haunting tales of ghosts seen in the area, but beware . . . you may have a siting of your own! For more information call (843) 52ghost or visit http://capabeaufort.org/. October 24 – Lowcountry Arts & Literacy Festival at Frampton Plantation in Yemassee. Authors from across the country will be on hand to talk with and sign books, there will be storytelling, artisans, entertainers, a special children’s corner, and much more. For more information call (843) 597-0912 or visit http://www.beaufortsc.org/events/show/2015-lowcountry-arts-literary-festival/.